The epicentre of Toronto Pride celebrations is upon us! If you want to join the festivities this weekend but are feeling a bit stressed about booze-soaked fun, fear not! 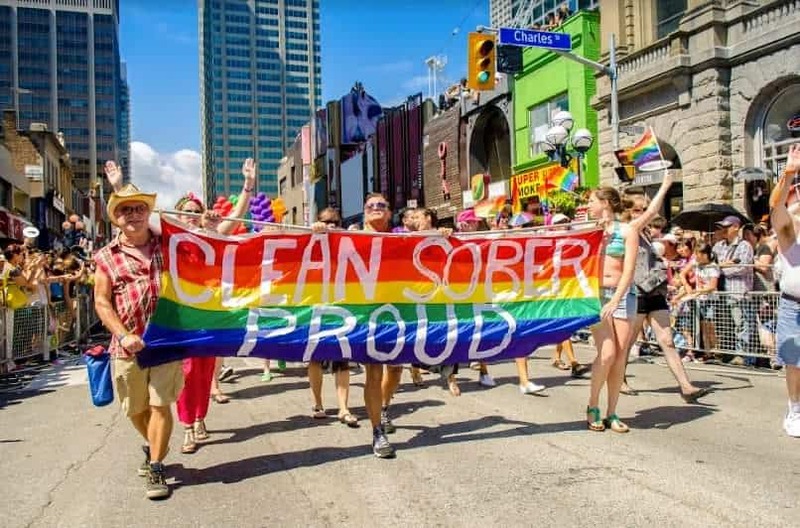 The Clean, Sober & Proud space is a special designated drug- and alcohol-free zone where all are welcome to join. Whether you are recovering from substance abuse, or you simply prefer sober life, the Paul Kane Parkette (north side of Wellesley/west of Church) will be the designated hot spot for you all weekend. Beyond being a great space to chill out in during Pride, there will also be live performances, entertainment and resources for recovery support. Toronto is a big city, and everyone should feel at ease. Each day there are dozens of AA and NA meetings that all are welcome to attend. Seek out the support you need and/or want in order to have a safe and comfortable Pride!